There is much hype and little logic in the hysteria surrounding what to do with SAA. A national asset? A flag carrier? A development tool, a bringer of tourists, a gateway into Africa – all fanciful ideas to keep SAA flying at the expense of the poor. The reality is simple. SAA is a massive drain on the fiscus and should be closed down – but with careful thought and consideration of employees. People and jobs matter. 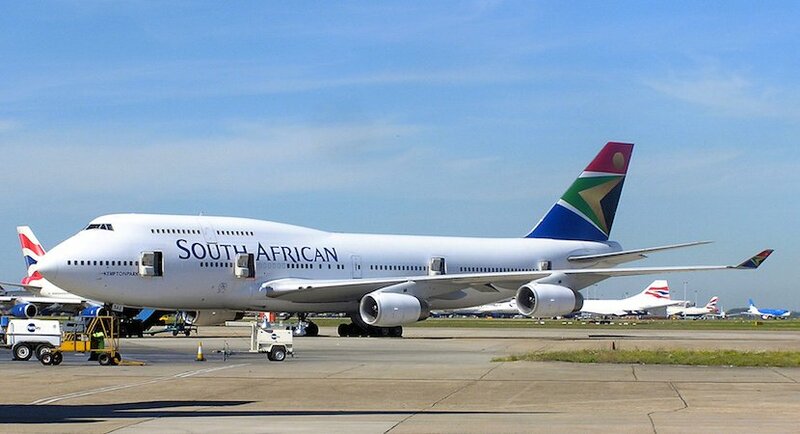 In 1994, South African Airways (SAA) dominated 95% of domestic and international market share. Today this is only 23 % and 17 % respectively and falling rapidly according to their own financial statements. SAA needs another R9.2 billion just to pay off loans and R15 billion to fund daily operations. This does not take into account other contingent liabilities such as fines owed to Comair (R1.8 billion and rising) and unknown fees owed to ACSA and to SARS in tax on ticket sales. It does not take account of aircraft lease liabilities. Added to this, SAA is at the wrong end of the African continent and is being overtaken by Middle Eastern airlines intent on creating their own hubs and carry through destinations. SAA’s own CEO has said that there is no cash with which to buy new competitive aircraft, so SAA will continue to lag behind its rivals’ ability to offer the best in airline experience and travel time. SAA is finished. Some say a national carrier is needed to carry the brand of the country. But is a failed airline, sucking billions in diverted resources from the poor and the taxpayers, really a brand to promote for national excellence and to carry our national pride? Simply, no. A key question remains around the 10,100 employees. Employees are important and jobs are critical in South Africa. Job losses cannot be taken lightly. But these SAA jobs come at a cost of R6.1 billion per year according to SAA’s latest financial accounts 2016/7. This amounts to an average cost to company of a staggering R610,000 per employee and an estimated 156 employees per aircraft. Although direct comparisons are difficult as local narrow body and wide body fleets require different staffing levels, the global benchmark for international wide-bodied routes is 120-130. A local profitable carrier operates on approximately 90-100 for domestic operations. SAA jobs must be the most expensive jobs in South Africa and on the African continent. There is a solution and one which labour unions and SAA employees should seriously consider. It would favour employees, the taxpayers and the SA economy. SAA should pay loyal staff a very generous retrenchment package, more than is the norm, and spend money on training and development to create a true set of transferable skills for current employees. This can be achieved within one year, and will ensure that employees are portable and equipped to get future jobs. The best and only guarantee that any employee has to earn a living is marketable and portable skills. If properly done, this is an opportunity to take a whole group of SAA employees and train them for the new artificial intelligent future of the workplace. It need not be confined to aviation skills but other skills in short supply such as IT and developing ICT technologies. It may seem extravagant, but a generous retrenchment package of 6 – 12 months would save South Africa billions over the next 3-5 years. The R15 billion SAA is demanding would more than cover this with much left over to wind down SAA in a responsible manner including the reskilling of all retrenched employees. If the above rough calculation of an average R610,000 annual cost to company is paid out to each employee (there would be exceptions), then this would cost R6 billion in one year. Only! Employees take note. Unions think even harder. How many SAA employees would jump at the chance. Most would, according to a seasoned labour lawyer. SAA wants R5 billion a year to continue to make a loss. Assume the amount to reskill is an average R200,000 per employee, for 10,000 employees, this amounts to R2 billion. Small change in SAA terms and results in a group of highly skilled employable individuals. In colloquial parlance, a “no brainer”. Add the above to the knowledge that the World Bank, the Organisation for Economic Co-operation and Development and the International Monetary Fund all say that the main risk to South Africa’s debt sustainability is the increasing contingent liability in State Owned Enterprises. The writing is plainly on the wall. Get rid of SAA, release funds to the poor, retrench and reskill SAA employees and alleviate the skills shortage in the economy to boot. Comments on Do SA a favour: Close down SAA and pay all staff one year’s retrenchment package. Bargain!